We bought our first llamas in 1997, shortly after our alpacas. We loved the fact that there were many colours and many patterns – even spotty ones. Immediately we noticed that the llamas were much more docile than alpacas, and even though llamas are much larger, they are much easier to handle because they enjoy human companionship and are very laid back about life. We sought exceptional lines of long woolled llamas with excellent temperaments. As with our alpacas, we aim to breed animals with good conformation, good bone. We now have the largest stud herd of llamas in NSW – possibly even Australia. 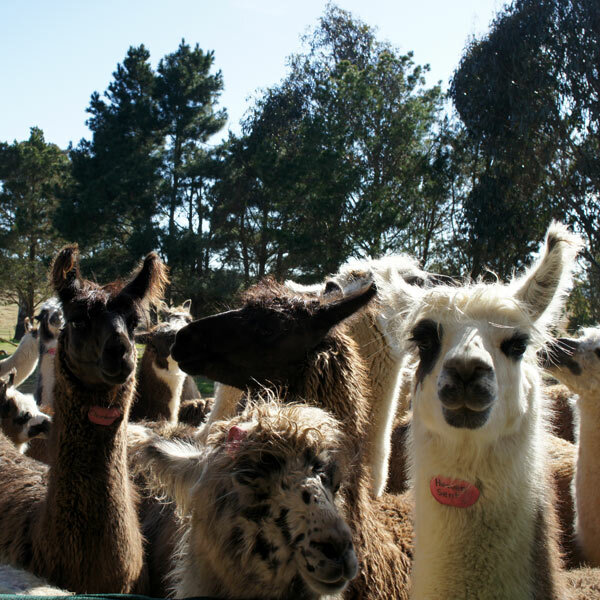 All our llamas are micro chipped and registered or registrable with the Llama Assn of Australasia. Generally our llamas are lead trained. 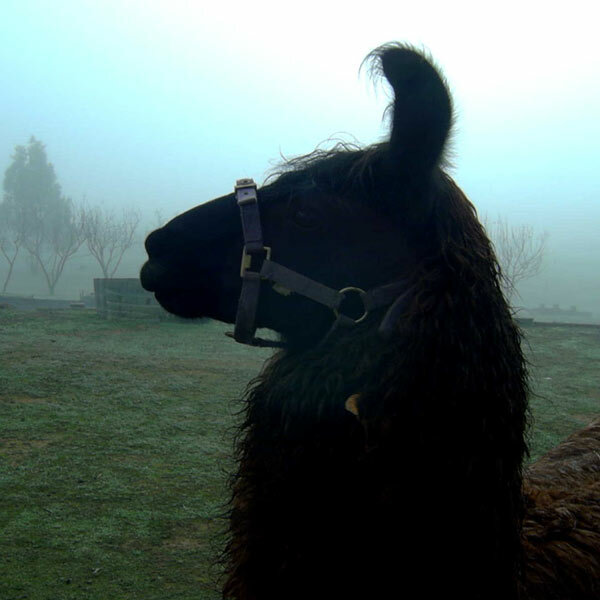 People who buy llamas generally want to do things with their llama – like trekking (the llama carries the pack – you carry the rope), asking your llama to pull a cart or maybe or maybe just being with them, cuddling and hugging them. Of course they are excellent guardians and carry an exotic fleece. We love our llamas – and you will too! We bought our first alpacas in 1997. Gradually we have bred up a sizeable herd. 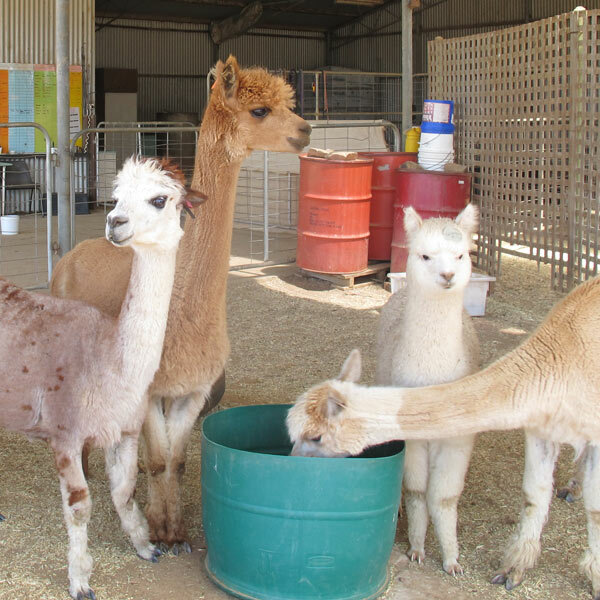 All females are IAR tagged and registered with the Alpaca Association of Australia. Although may of our alpacas are white, we breed coloured animals too. We aim to breed animals with good conformation, good bone, quality fleece, and of great importance to us – good temperament. 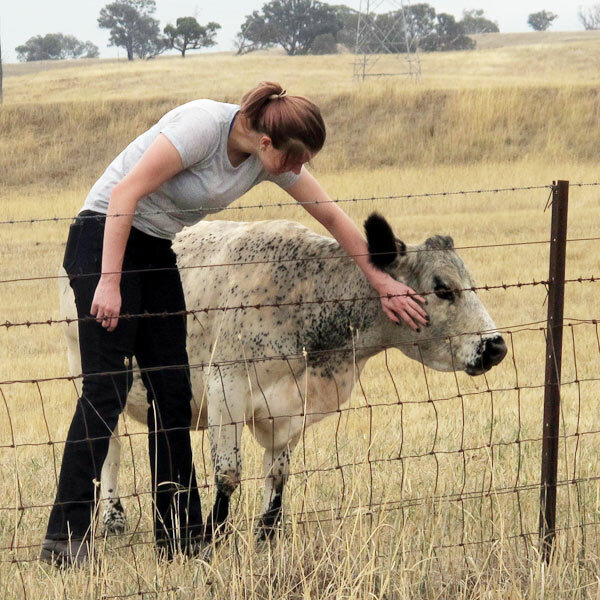 Temperament is a quality that is often ignored by breeders; however there is much to be gained by animals being quiet and easy to catch and handle, both on a daily basis and in an emergency. Investors are and those seeking a lifestyle change are often attracted to breeding these exotic, gentle and curious animals. 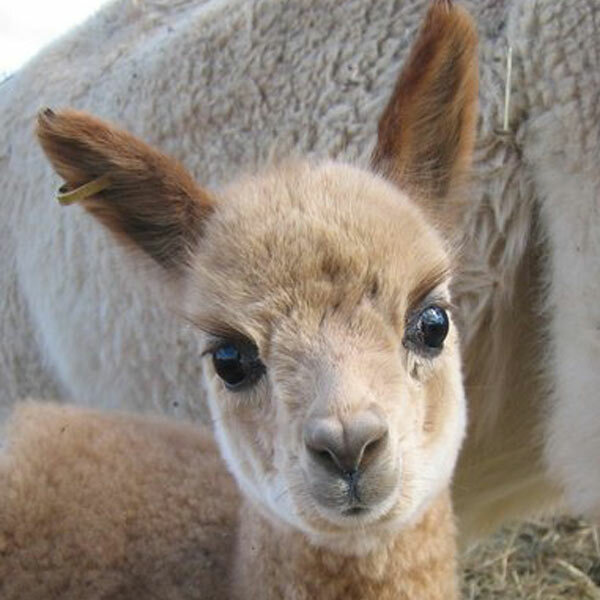 Alpacas are also interesting and easy care pets and guardians, who also produce an annual elite fleece. We provide workshops you how to own and care for your alpacas and how to spin and felt their fleece. Our passion with donkeys started about 1975. Initially I bred English/Irish donkeys, and then also Mediterranean Miniatures. At the largest our herd numbered around 70 animals – now we have only a few. Donkeys are gentle, comical and love being with people. No wonder we run a workshop called “The Magic of Donkeys”. 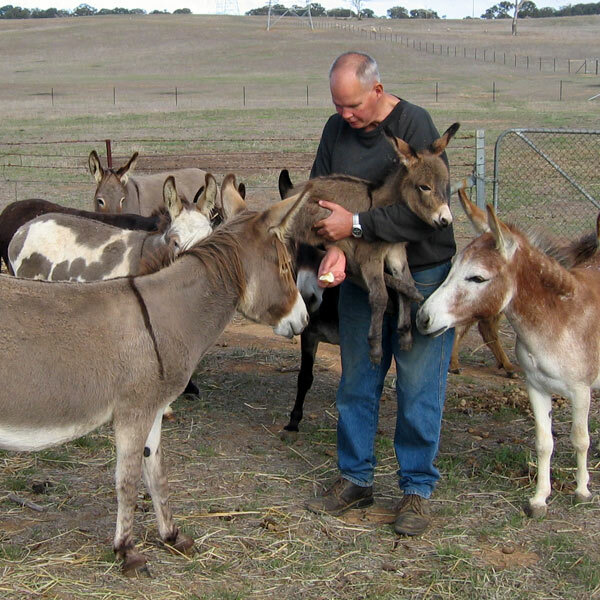 Donkeys are great pets, or as a kid’s “pony” or a companion to a horse. We specialise in small quiet, gentle donkeys. Ours tend to be just a little bigger than miniature. All our foals are vaccinated and micro chipped and can be registered if you wish. Many years ago we kept Herefords and then Murray Greys, but now we have decided to keep stud Miniature Galloway cattle. Even though all of these are a beef breeds, we feel that because the Miniature Galloways are both stud and a miniature breed of cattle, they are suitable for small farms, and hopefully we will sell the progeny for pets and lawn mowers. Our calves and weanlings are vaccinated, can be micro chipped if required. Heifers(female calves/weanlings) can be registered. Every farm probably has a few chooks for fresh eggs. 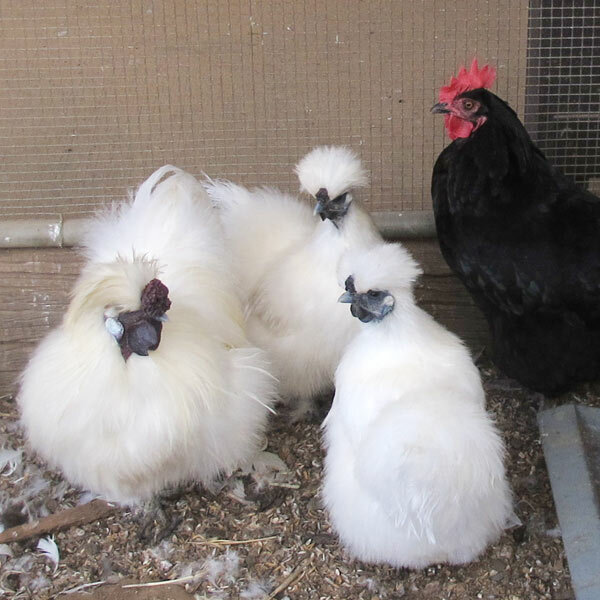 Although not the greatest of egg-layers, we have Silkies because we love the fact that they are fluffy and cute. They lay less and smaller eggs than the standard commercial chook, but they are very cute and they provide enough eggs for our needs. 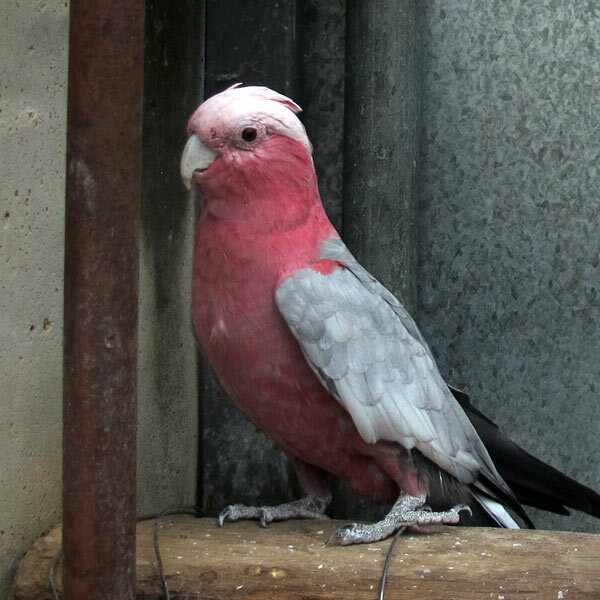 Our two cockatoos and our galah used to live elsewhere, buy their owners got tired of them, so now they live with our chooks. We have a red heeler and a blue heeler (also known as cattle dogs). 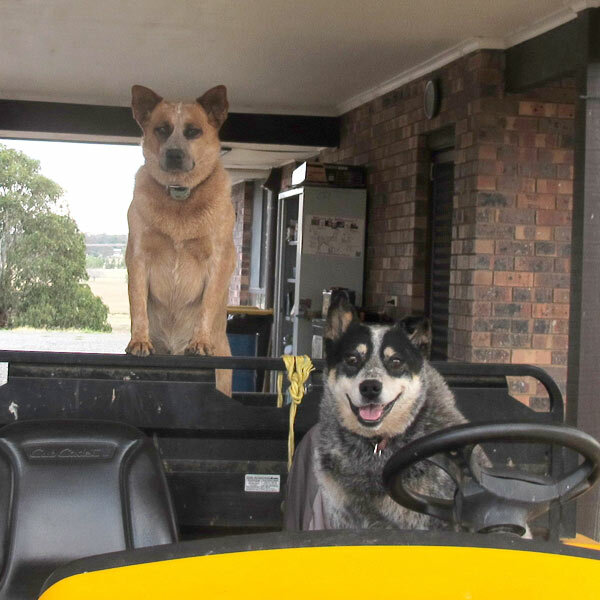 They provide security for the farm, announcing visitors’ arrival, and while we are around they are very friendly dogs, and enjoy entertaining our visitors. Similar to goldfish (also carp), Koi and can grow up to a metre long. They come in many colours and patterns and are highly prized in Japan. We love relaxing around their pond watching them swim around.